The Shanxi provincial housing construction hall also issued the "on the construction industry to promote the modernization of the guidance", the modernization of the construction industry, the basic technical standards are maturing, the preparation of the release of "Cold-formed steel gypsum mortar composite wall structure atlas" "Cold-formed steel gypsum-based mortar composite wall technical regulations" and other standards atlas. 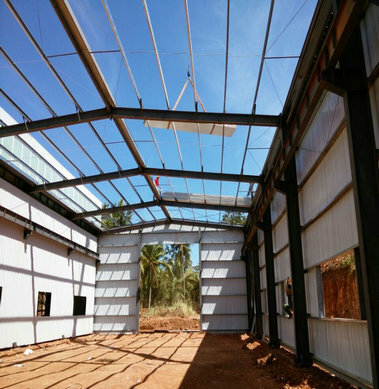 There are 10 units covering the production of parts, construction, technology research and development, survey and four types designs of units to carry out the provincial construction industry to create a modern base. The province continued to promote new construction technology, the implementation of pilot demonstration projects 8, and a total of 760,000 square meters. At the same time, Xi'an City, as a result of the active creation of national construction industry modern city, is listed as one of the national work to promote faster. It is understood that the "13th Five-Year Plan", the province will promote the popularization of green building technology as the starting point to steel structure green building mandatory policy implementation; passive low-energy building as the focus, to enhance the level of green building; to support the construction of engineering standards and enhance the quality of green building construction. At the same time during the extensive special pilot demonstration, accelerating the popularization and application of key technologies, and to speed up the construction industry to establish a modern industrial system.